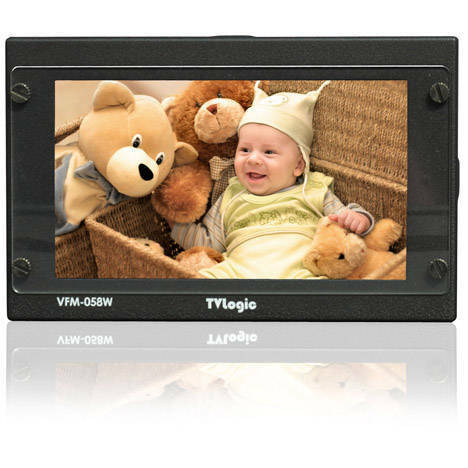 TVLogic video monitors are designed and built for professional and broadcast applications. With a range of over 40 different monitors for all types of applications let us help choose the right monitor for you. Use the form below and we will send you the full specifications along with any promotions on the best match for your requirement. SD and HD digital as well as analogue TV standards (NTSC, PAL, SECAM) are fully supported. Additionally, VGA, DVI, Component, CVBS, S-Video, HDMI, 3G-SDI support is standard on the LVM-xx3W, LEM, LUM, TDM and XVM series of monitors. 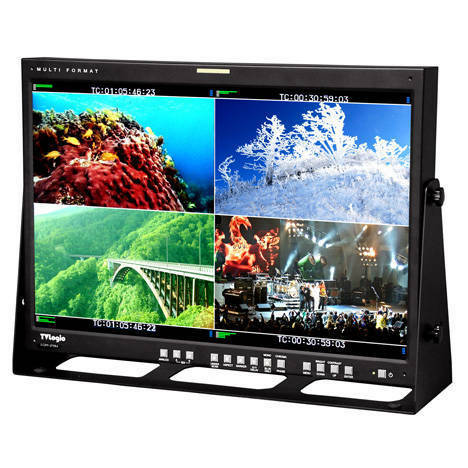 Slim, single-piece integrated design and easy to use rack mount kits for 7”-24” monitors allow for flexible installation with any application from mobile production to master control room and everything in between. Superior picture quality Full Native HD Resolution. The 5.5”, 9”, 17”(XVM), 21”, 23”, 24”, 32”, 40”, 46”, 47” and 55” models support native Full HD resolution of 1920 x 1080 pixels. 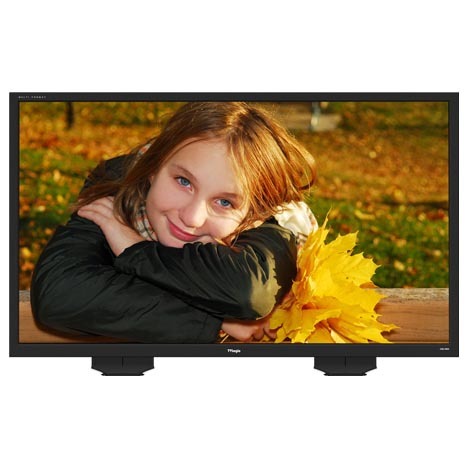 Models 18.5” and below offer full native resolution support of 720p. All monitors are capable of full screen native, full screen scaled or 1:1 pixel mapping display at each screen’s maximum resolution. And all models can be automatically calibrated with the optional Colour Calibration Utility. TVLogic monitors integrate our proprietary Advanced Digital Signal Processing Algorithms with an unparalleled video processing, scaling and de-interlacing architecture to provide superior video quality and accurate picture reproduction for every monitor in the TVLogic’s extensive product line. TVLogic monitors support colour gamuts that conform to the ITU standard and match EBU/ Rec. 709 specifications for HD broadcast video, allowing for accurate and standardised colour reproduction. ‘Observer’ is a free wall monitor management software via network. It provides you with comprehensive control over the multiple monitors via Ethernet or RS-422. Turning on and off the power, controlling the OSD menu or short cut keys can be managed on the users PC. Observer also provides firmware upgrade function via Ethernet. All TVLogic monitors are calibrated prior to shipping for optimal luminance, gamma and colour temperature measurements. With use however backlights age differently. So we also offer an optional TVLogic Colour Calibration Utility that automatically realigns our monitors for accurate colour reproduction. Four different measurement probes are supported that cover various requirements of sensitivity, speed and budget. TVLogic recommend the Klein K-10 probe as it offers both fast and highly accurate calibration as well as broad compatibility with the entire TVLogic product line. Additional supported probes include the X-Rite i1 Display Pro (bundled with the TVLogic Colour Calibration Utility), as well as the more advanced Konica Minolta CA-210 Colour Analyzer and DKTechnologies PM5639. 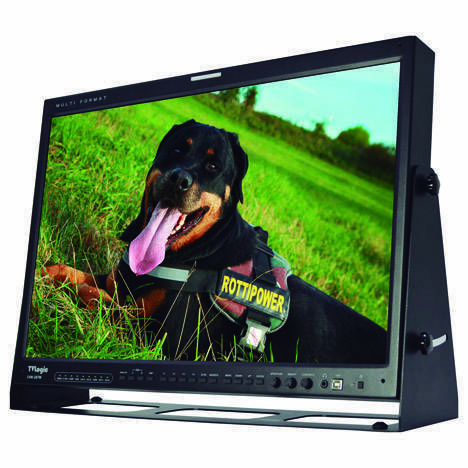 Most TVLogic monitors are bundled with standard desktop stands and offer many features, such as 608/708 Closed Captioning support, 3D LUT import and export, Active Format Description support, built-in Waveform and Vectorscope, 3G input, rackmount options and more that make them the most versatile broadcast and professional monitors in the industry. The VFM-056WP and VFM-058W are ideal for HDSLR production. A compact and light-weight magnesium-alloy case houses a 5.6” native 1280 x 800 resolution and 5.5” Full HD 1920×1080 resolution LED backlit LCD display with a full compliment of preferred features including DSLR Scale, Focus Assist, Various Scan Modes, Markers, Audio Level Meter with speakers, Time Code Display, HDMI-SDI conversion output, Waveform/Vectorscope, Luma(Y’) Zone Check and Range Error. 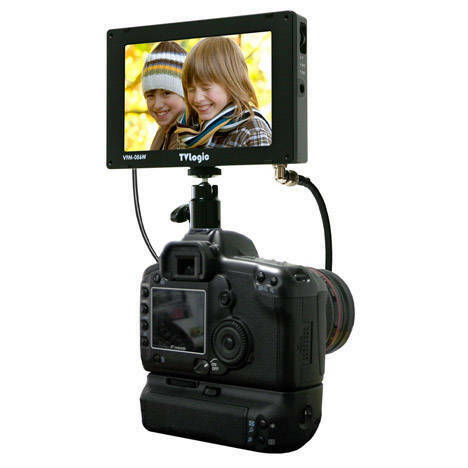 The VFM-056WP and VFM-058W offer outstanding picture quality and includes mounting holes on top, bottom and both sides for convenient mounting on or near the camera. TVLogic also provides various optional accessories including Sun-Hood, Acrylic Screen Protector (included with VFM-058) and Battery Brackets to meet the needs of professional HDSLR and Compact Digital Cinema Camera operators. The LHM Series offers excellent cost-effective performance for Multi-Viewer and Digital Signage applications. 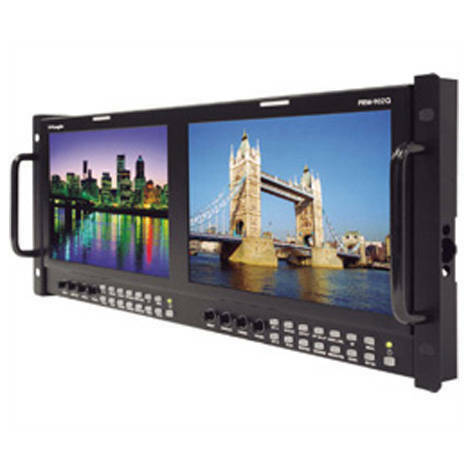 LHM series monitors include HDMI and DVI inputs and offer an optional digital HD-SDI input. Combined with TVLogic’s advances image processing technology and calibrated colorimetry, the LHM series offers large format performance and value. Utilising the XVM Series provides highly accurate colour reproduction as required by the most demanding monitoring applications. Our most colour accurate LCD and featuring a full 10-bit display driver, high-purity RGB matrix LED backlight system (EEFL for XVM-325W) and TVLogic’s most advanced video processing engine. Advanced colour management is achieved using the XVM’s built-in 3D Look-Up-Table to import/export 3rd party 3D LUT’s and precisely reproduce various colour gamuts and excellent grayscale linearity. The XVM supports a full range of HD and SD digital formats including standard Analogue, HDMI, DVI input single and dual-link plus 3G-SDI. LVM Series The LVM Series is designed to offer superior picture quality, wide viewing angle and functions which are needed for professionals. Eleven sizes and fourteen models offer the best solution form field recording o master monitoring in the studio. The LVM Series monitors are compatible with most standard input formats. So the LVM series is ideal for a wide range of applications around the world. 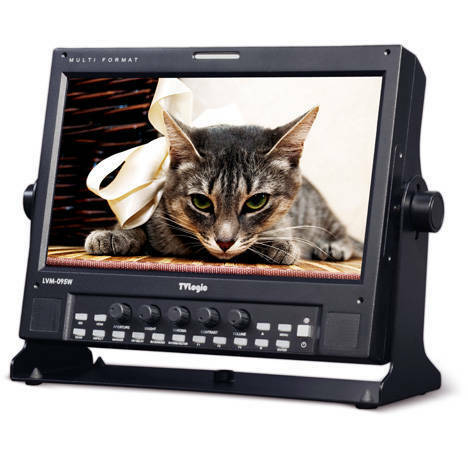 Also slim ,single-piece integrated design, low power consumption and easy-to-use rack mount kits for 7”-24” monitors allows for flexible installation. The LVM series provides various broadcast features including Waveform, Vectorscope, Focus Assist, Embedded Audio Level Meter, Closed Caption, UMD, Marker and 1:1 pixel mode. The TDM Series offers two 2D and passive 3D monitors for broadcasters and professionals working with stereoscopic content. Utilising circular polarised 24” or 47” LCD panels with 1920 x 1080 resolution and wide viewing angles, the TDM Series offers outstanding picture quality in both 2D and 3D modes. The TDM series monitors features various functions like Waveform, Vectorscope, Under Monitor Display, Closed Caption, Timecode, Marker, Picture-by-Picture mode, Horizontal Flip and On-Screen Audio Level Meter. A built-in 3D Look-Up Table allows import/export of 3rd party 3D LUT’s for precise colour management in both 2D and stereoscopic 3D modes. The LQM Series is the idela choice for flexible full-screen and/or multi-channel picture and Waveform/Vectrorscope monitoring of up to four sources. 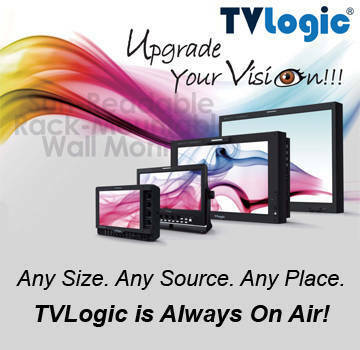 TVLogic’s LQM series has superior picture quality and offers maximum space, power and cost efficiencies versus individual monitoring solutions. TVLogic introduced the world’s first AMOLED broadcast monitor back in 2010. Now the 2nd generation LEM-250A is released. A 24.5” Full HD resolution monitor that utilises the best OLED display and equipped with all the features of TVLogic’s XVM Series reference monitors. Combined with the TVLogic’s outperforming video processing and colour calibration technology, LEM-250A gives the highest picture quality and professional features that is required in the most colour-critical work environment. TVLogic introduced the 1st generation 4k monitors, the 56” LUM-560W in 2010 and Pixelution supplied the very first unit into Europe. The current range of 31” true 4k (4096×2160) and 55” QFHD (3840×2160) models support a variety of input formats and all the standard TVLogic monitor features.